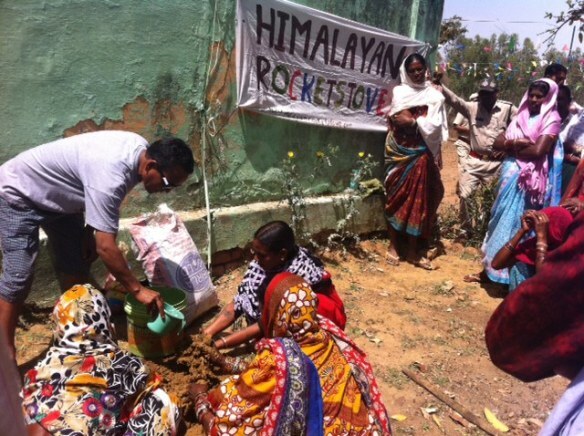 Last month, listening to Hrishikay on Radio One (the only way I can drive in peak hours), I chanced upon a conversation involving a Himalayan Rocket Stove. The interviewee was Russell Collins, an Australian whose soul lives in India and this was something he had invented for the Himalayan region as a more environment-friendly way to cook and heat up the house. The stove works on a principle of vortex heating, which burns even the smoke created by it, rendering it almost 70-80% smokeless, while creating such high temperatures that you can not only cook food on it, but also use to heat up the house in winter. He had me at one million trees. He had me at sustainable cooking solutions. He had me at 40 lakh deaths resulting from indoor pollution. 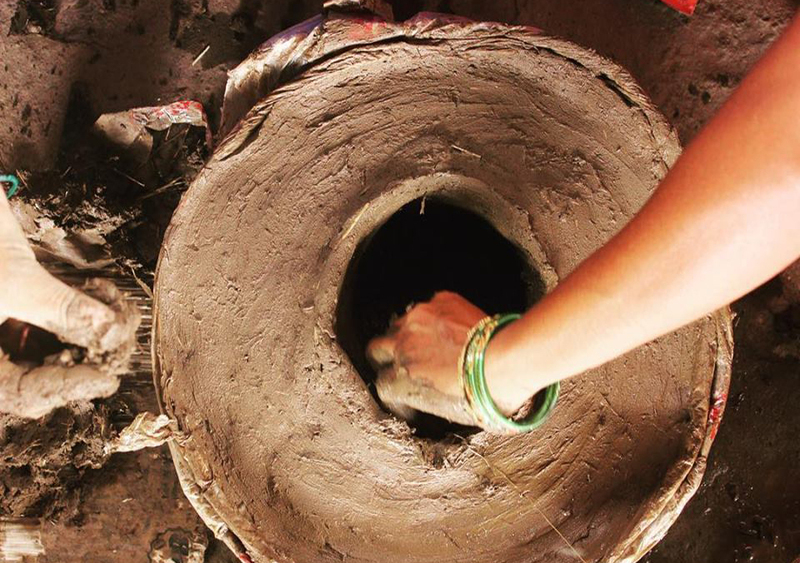 As an extension of this idea for the rest of India, which doesn’t live in sub-zero temperatures but can still benefit from smokeless cooking – Russell’s company conducts workshops, which they are proud to call the Smokeless Chulha Project. 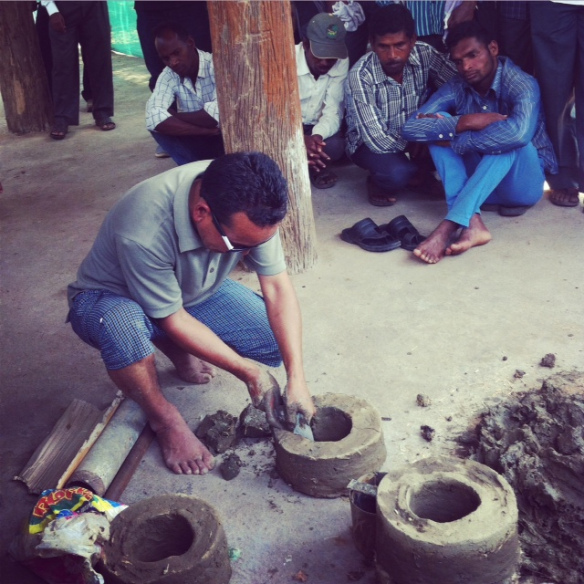 The aim of these workshops is to train as many end users (and trainers) in the making of these chulhas while highlighting the hazardous effects of conventional chulhas, the drain on forest reserves they create and the inordinate amount of time and effort spent on collecting and transporting firewood. 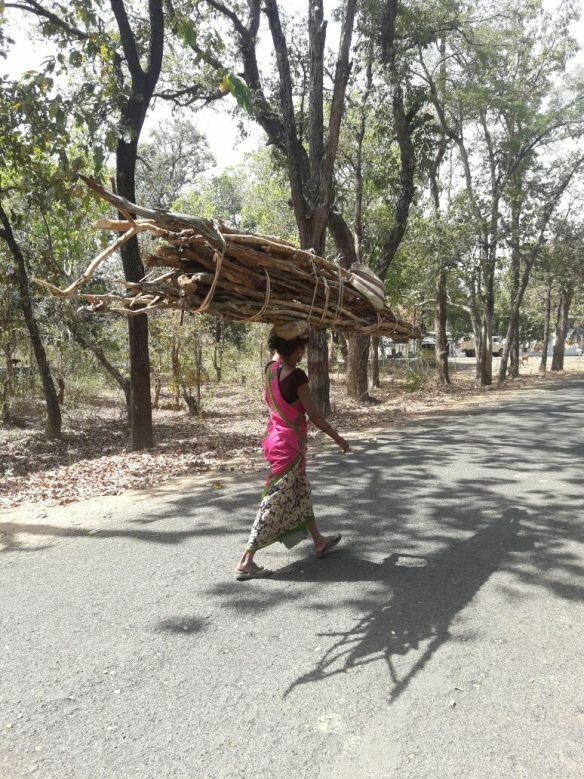 Consider this: Every day, women in rural India walk as much as 10-20 km in search of firewood, and usually bring back a few kilos. If they are lucky, it lasts two days. By the time she is 40, a woman would have walked the distance of Kashmir to Kanyakumari and back just in search of firewood. 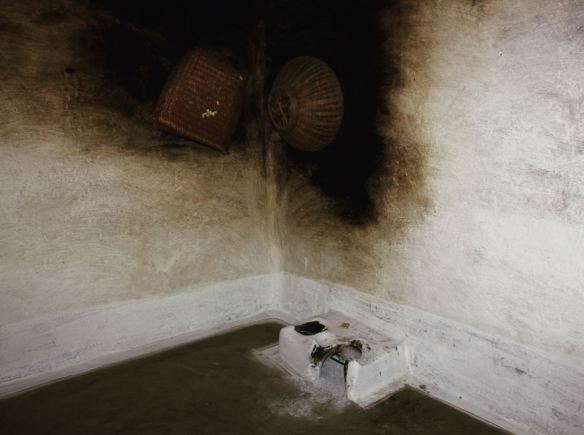 If you are still wondering what the fuss about smokeless chulhas is all about, allow me some gory detail: If this is what a conventional chulha can do to a wall, imagine the extent of damage it can do to your lungs and respiratory system. 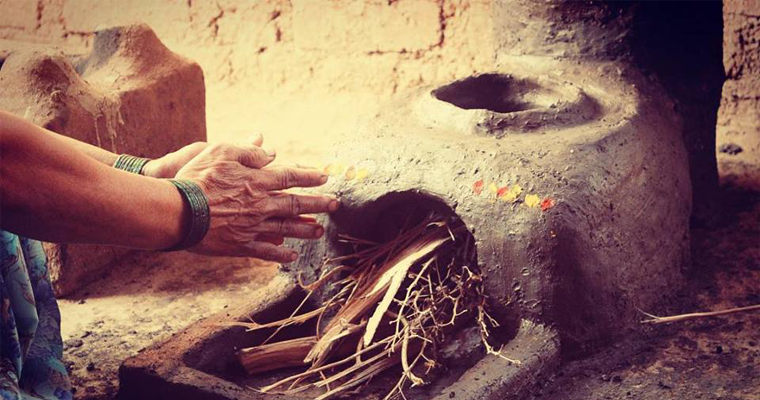 In contrast, the Smokeless Chulha creates 80% less smoke than a conventional stove and also uses 80% lesser wood. I quickly shot off a message to Hrishi and prompt as ever, he shot me back a number of Nitisha Agrawal who manages the Smokeless Chulha project while Russell is in Australia. She is armed with years of branding and corporate experience, but is thirsty to be an agent for social change. She also rallies around to find people truly passionate about the project to give it further wings. As someone who is constantly reinventing the way I live, I was happy to be a catalyst to what I saw as a less consumptive way of living. By the end of the week, I had signed up for their forthcoming workshop at Kanha Tiger Reserve, in collaboration with the Forest department of M.P, ably led by Sanjay Shukla and his deputy, Anjana Tirki. For a state that is abundant in its forest reserves, Madhya Pradesh wears them lightly. Watching this dynamic duo and their team at work, I realized that most of real conservation is silent. On one given night, Anjana was at our guest house at 8 pm, trying to get feedback about the workshops, what could be done to ensure that the villagers do indeed make these chulhas and train others to do so. She had to travel back 75 km to her home in Mandla, to a 15 month baby, but she was unperturbed. Of course forest departments are believers in conservation; it’s in their DNA. But it’s quite another thing to recognize the potential of an initiative from an outsider and let them in and want it to be scaled up to your region and community. That requires vision, that these able leaders at Kanha had. There were two workshops on two different days, and for each workshop, they had lined up at least 30-35 people from different village communities around Kanha. The turnout was far more than that. 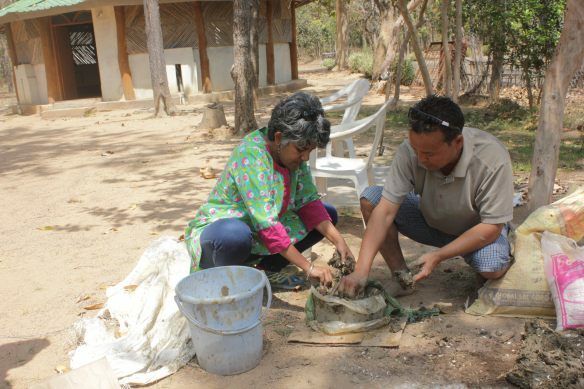 150 people from 75 villages turned up over two days to learn about Smokeless Chulha (cookstove).The first workshop was at the Eco Centre of the Khatia range of the Kanha Tiger reserve and the second at Gadi range, around 70 km away. 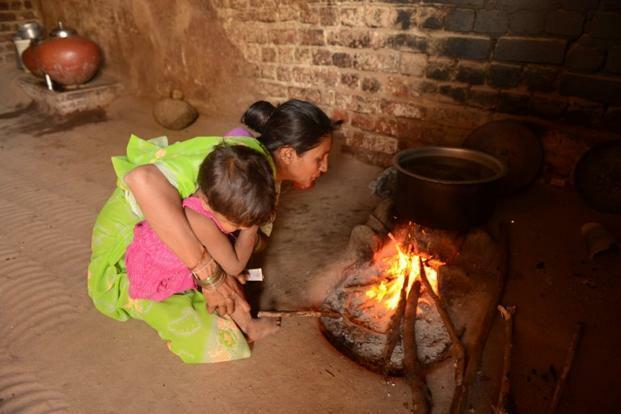 Although several of them had secured an LPG connection through various schemes, they knew that the chulha is here to stay. 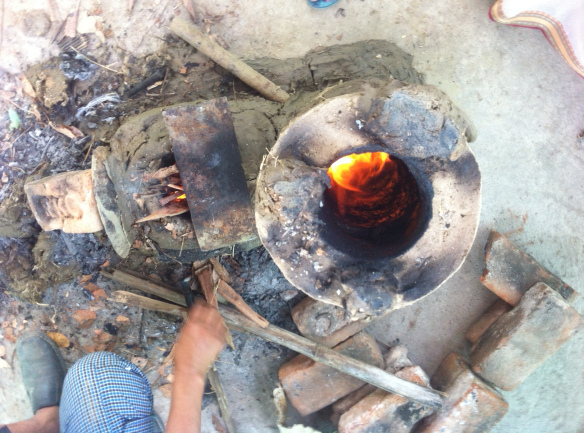 It is what is used to heat water, cook rice and of course make rotis (which always tasted better off the chulhas). Plus, everyone wanted their gas cylinder to last. The constant in all workshops is the chief trainer Tanzin – trekker, naturalist, horse-doctor and farmer with a huge love for the forests and mother earth and who mourns the infestation of plastic and consumerism in our daily life. Tanzin is the official trainer of trainers, local communities and volunteers for all smokeless chulha workshops , but clearly we need more Tanzins. We need to create more of them. What it costs to make: Well, not more than a hundred rupees. 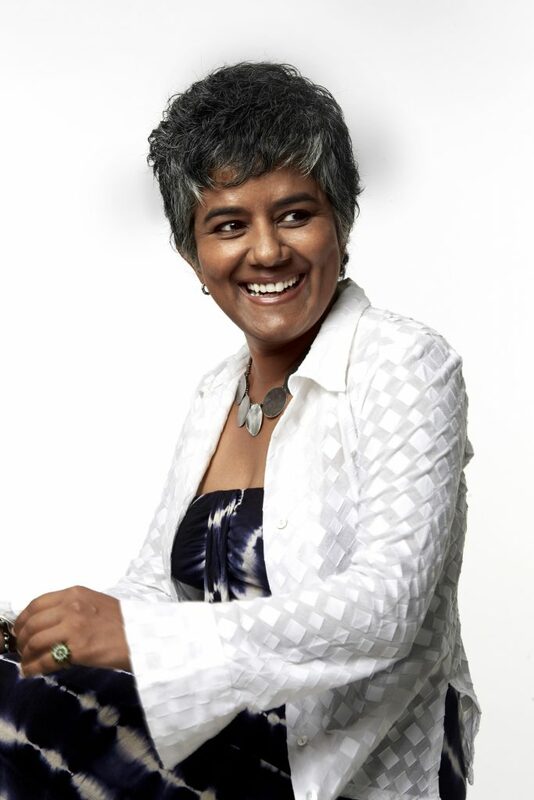 Lalita Iyer is a journalist, writer and blogger based in Mumbai, India. She is the author of two books, “I’m pregnant, not terminally ill, you idiot” and “The Boy Who Swallowed A Nail And Other Stories“, as well as writing two blogs Chickwit and Mommygolightly.